How is your week so far? For me it has been great. Monday no need to go to school. School closed for Cheng Beng. That's the occasion/festival which Chinese go and pray for their ancestors. Very important occasion coz if the ancestors are "comfortable ", the future generations will benefit. Mamarazzi saw in Facebook (dunno where lah) , got people hire dancers to dance in front of their ancestors grave for the ancestors spirit to watch. Hmmm.....how does this work ah? The Granddad and great great great granddads can see the lenglui dancing but what about the grandma ya? When night falls will someones ear gonna be pulled kot? For me.. Monday Papa bring me jalan jalan in the new Aeon Shah Alam Mall. Just opened mid last month but surprisingly most of the shops are opened. Also received invite to be "white mice"(guinea pig) to try out the new Ecover Zero range before it's being sold in Malaysia. Fuiyoh...Ecover products wor...of course must try out lah. Ecover is one the largest green companies in Belgium that only produces household cleaning products that derived from plants and minerals. The products are dermatologically tested and it is recommended to use on baby and people with sensitive skin. Very often, people find it difficult to breath after using the harsh cleaning detergent, it is dangerous as it could lead to lung infection after using for a long period of time. There are 2 ecover ranges in Malaysia. 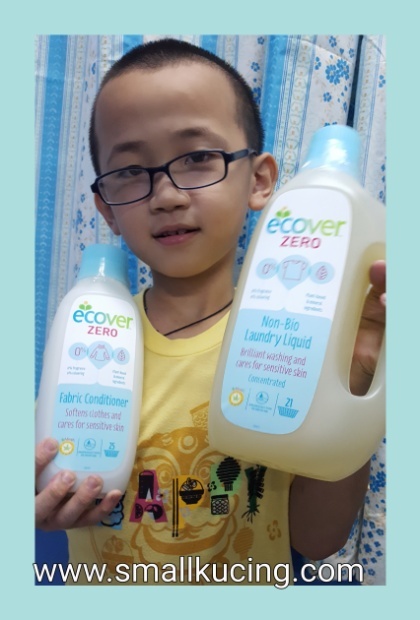 2) Ecover Zero Range - ( Dish Detergent and Laundry Detergent Only). 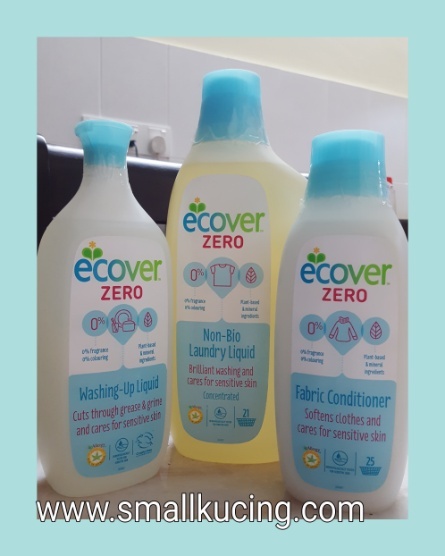 Mamarazzi can't wait to try out Ecover Zero Non-Bio Laundry Liquid and Ecover Zero Fabric Conditioner. Guess what she is going to try it out on? My stinky lamb-lamb. I had it since I was 6months old. 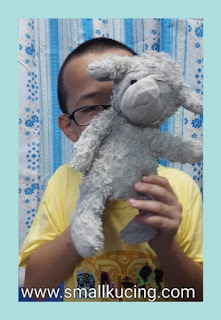 Now my stinky lamb-lamb is 7 1/2 years old. Said must try it out on lamb-lamb as i like to "nosey" lamb-lamb. Since Ecover Zero does not contain harmful chemicals, testing it out on lamb-lamb would be perfect. No worries on allergic reaction when I "nosey" lamb-lamb after washing. 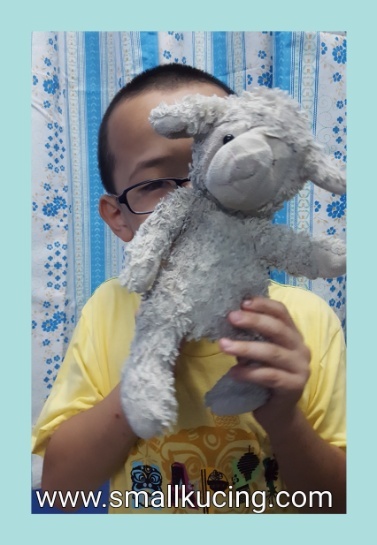 I really hate it whenever Mamarazzi give lamb-lamb a bath in the washing machine. So, which one do you think will win? Will the new Ecover Zero Non-Bio Laundry Liquid vanquish the stinks from my lamb-lamb or will the stinks remain? Stay tune for further updates. Will let you know the result after trying out the new Ecover Zero Non-Bio Laundry Liquid and the new Ecover Zero Fabric Conditioner. What's that? A lamb? Bet it smells so good after a "bath". Wah so nice, Monday no school.. Here everything usual.. Best la, papa take go kaikai.. The lamb sure needs a bath! Better smell nice so you can hug it after bath. Hahahaha...you are the same as me. Did you bring it into the car so that your grandma couldnt find it? Wah...your lamb looks very 'abused' leh. No fragrance...hmmm..would like to know what's the smell like after bath. 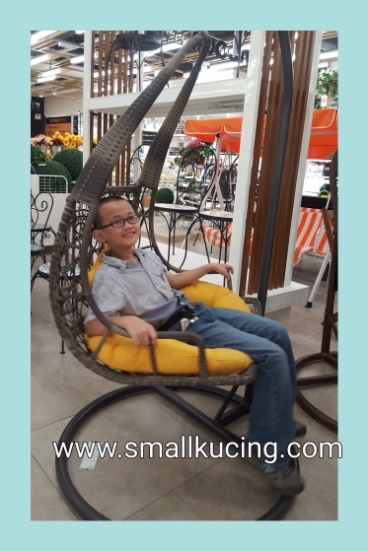 Small kucing is so relaxed sitting in the hanging chair in photo 1. Bantal busuk must not be washed to retain the smell, hehehe. Nice eco product. I should get one and try as well. So now this big boy will do all the laundry and household cleaning for mama and papa! Good products like this must always share so that I will always try lah! Got free sample kah small boy? ?